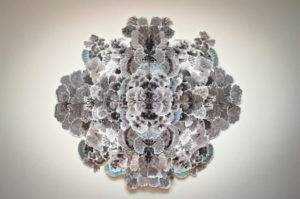 In this extended exhibition, Allison Svoboda’s ethereal collaged paper mandalas remain on view through February 3. If you have not seen the show already, be sure to visit. 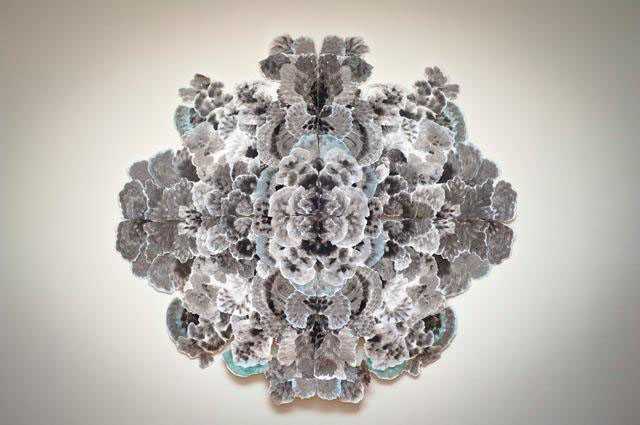 Svoboda uses ink paintings and fine papers to build delicately layered flower-like shapes that float off the gallery walls.